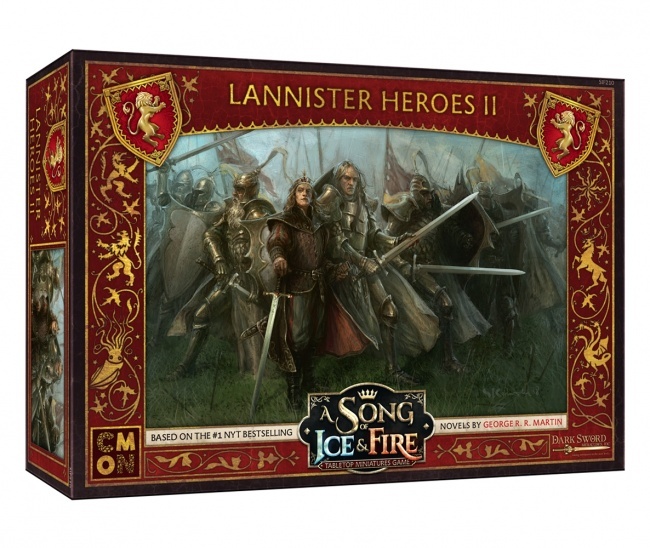 The next two months will see CMON release eight new sets of miniatures for its A Song of Ice & Fire: Tabletop Miniatures Game, as well as Game Night Kit #02. 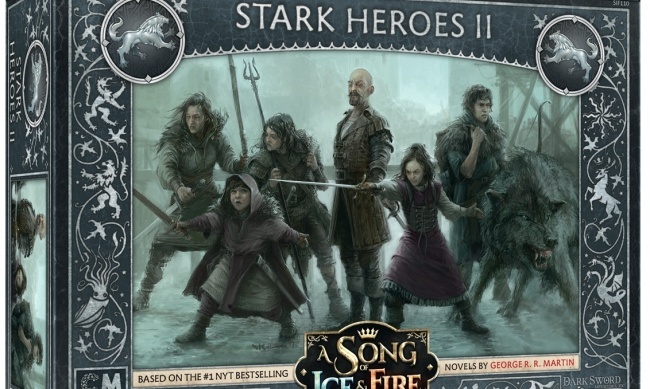 Stark Heroes II includes miniatures for six Stark personalities: Syrio Farel, Arya Stark, Meera, Jojen Reed, Rickon Stark, and his direwolf Shaggydog. MSRP is $29.99. The Lannister Heroes II set has seven of the King’s Guard, each with their own special abilities, as well as King Joffrey Baratheon. MSRP is $29.99. House Lannister also receives The Warrior’s Sons as reinforcements. These devoted warriors serve the High Septon, using their Faith as a weapon. MSRP is $29.99. Meanwhile, the Cave Dweller Savages join the Free Folk. These uncivilized berserkers wield whatever they can find with little regard for their own survival. MSRP is $29.99. The Game Night Kit #02, which also releases on March 29, is designed to assist retailers who want to host an in-store event to support the game. 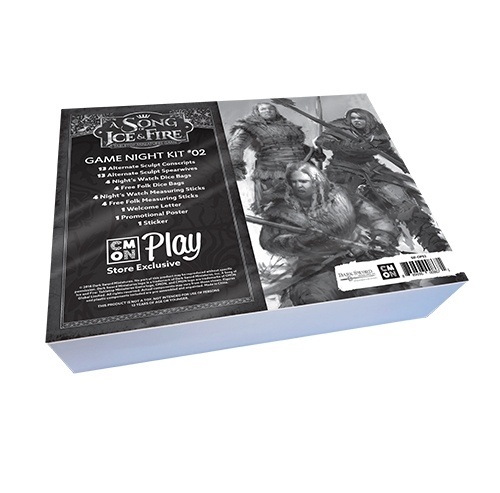 The kit includes 24 alternate sculpt models (12 Conscripts and 12 Spearwives), 8 dice bags, and two sets of measuring sticks themed to the Night’s Watch and the Free Folk. The kit also includes extra promotional materials for the participants and the event coordinator. MSRP is $20.00. 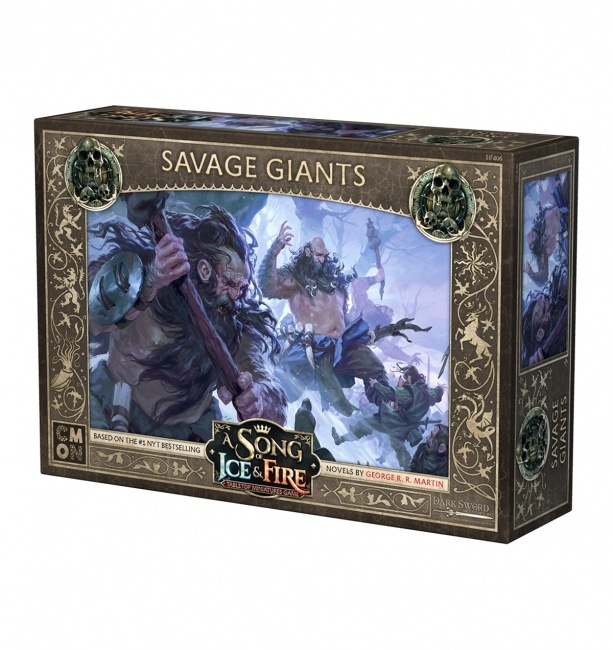 February 22’s releases include three units for the Free Folk faction, which were originally announced as November releases (see “Free Folk, Giants Invade ‘A Song of Ice & Fire’”), and the Builder Scorpion Crew was originally announced for October (see “Night’s Watch, Heroes Join CMON’s ‘Song of Ice and Fire’”). Click on the Gallery below to see the packaging for all eight sets. The new kits will hit the market in advance of the premiere of the popular HBO series’ eighth season (see “‘Game of Thrones’ Season 8 Picture Gallery”). In Q4 2018, CMON released a free companion app to help players track their collection and build armies for the game (see “‘Shards of Infinity,’ ‘Valiant Heroes,’ ‘Star Realms,’‘Song of Ice & Fire: Tabletop Miniatures Game’”).